John completed his Bachelor degree in Dentistry from the University of Manchester in 2009. Practising as a dentist in both the public and private sectors in Manchester, Northern Ireland and Melbourne, John went on to gain The Diploma of Membership of the Faculty of Dental Surgery and is now a member of the Royal College of Surgeons of Edinburgh, the Australian Dental Association and the Australian Society of Endodontics. With a particular interest in Endodontics, John completed a one year advanced Endodontic course providing in-depth training in the latest endodontic techniques and skills allowing him to take on more challenging cases. In 2014, he accepted a teaching position at The University Dental Hospital of Melbourne in the department of Endodontics where he enjoys teaching undergraduates and liaising with specialists in the field. 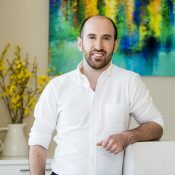 John also has a special interest in treating nervous patients and sleep dentistry, which has enabled a countless number of his patients to undergo treatment and achieve optimal dental health . He also thoroughly enjoys treating children and the elderly, having both a calm and happy demeanour, which puts his patients instantly at ease and makes visiting the dentist a pleasant experience. One of the many comments that new patients make is how thorough John is during the examination procedure and how high the level of care they receive is. Outside of Dentistry, John enjoys spending time with his young family and travelling. 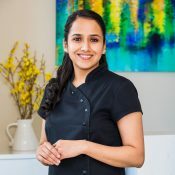 Yasmin completed her Bachelor degree in Dentistry with Honours, from the University of Manchester in 2005. Gaining a number of awards during her university years she went on to practice family dentistry, building a strong relationship with her patients based on trust and compassion. Yasmin has gained a Masters in Dental Implantology with Distinction from the University of Manchester in 2011. With a particular interest in the research aspect, she co-published a Cochrane Review ‘Interventions for replacing missing teeth: different types of dental implants’. Cochrane Reviews are internationally recognised as the highest standard of evidence based health care resources, an ethos which Yasmin uses when presenting treatment options to her patients, supporting decisions made with knowledge of the most current research. Yasmin also has a special interest in treating children and nervous patients. 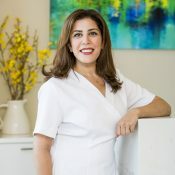 Outside of dentistry, her passion is her young son who keeps her on her toes! After Mary completed her Diploma in Microbiology she started working as a pathology nurse. Having gained valuable experience in the medical field, she realized her true passion was in dentistry. She is currently studying for her Certificate III in Dental Nursing and has shown exceptional aptitude and dedication to dental nursing, always keen to learn more and broaden her skills. 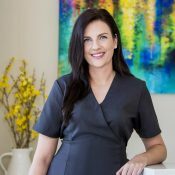 Mary will ensure that you will feel comfortable and cared for throughout your visit at Mentone Smiles and is great with nervous patients, putting them at ease and creating a calm environment throughout treatment procedures. Outside of work, Mary loves photography and enjoys traveling while capturing every moment with her camera. Also a huge animal lover, she often volunteers at the local animal shelters. Mary has been involved in the medical field for a number of years, after undertaking her studies in Bd. Science-Ed at The University of Melbourne. On completing her studies, she lived abroad for over a year, before returning and taking on a position in a pharmacy as The team Leader and Dispensary Technician, which she enjoyed for many years. After giving birth to her daughter she studied Phlebotomy and worked for Melbourne Pathology as a Pathology Collector where she also assisted in training new staff members. Mary is the first point of contact at Mentone Smiles and will always greet new and existing patients with a friendly face and warm smile. 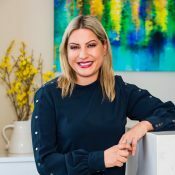 She is always pleased to assist you with any queries in an efficient and timely manner, as well as ensuring that your experience with us is positive and relaxed. Outside of work, Mary enjoys spending quality time with her family and embarking on outdoor activities such as bike riding, hiking and kayaking. In her down time she is an avid reader and likes to complete difficult jigsaw puzzles with her husband and daughter. She is a proud mum of a daughter, enjoys painting, watching movies, spending time with family and cooking.